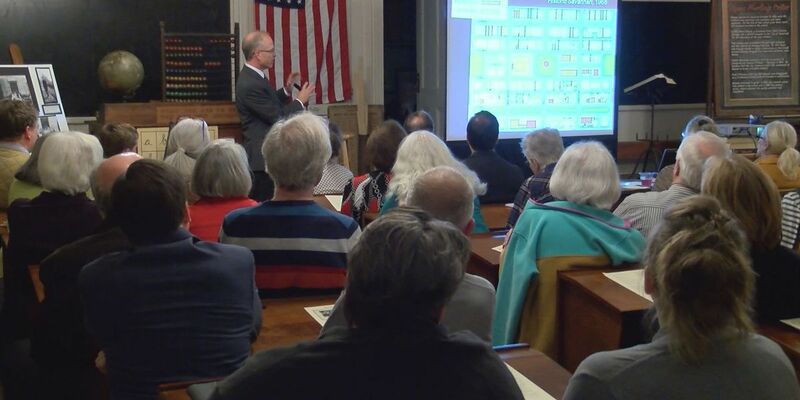 SAVANNAH, GA (WTOC) - Standing room only to talk Savannah sidewalks and street pavement. It's something you walk on every day, but probably not something you talk about that often. The Massie Heritage Center hosting lecture series "History Underfoot: How Street and Sidewalk Pavement Modernized Savannah." The crowd welcomed Savannah College of Art and Design's Architectural History Chair Dr. Robin Williams, as he walked them through history. "The pavement is often as old as the buildings and it's really helped define the modern city and when we think of civic infrastructure like pavement and what makes a modern city, it's not just skyscrapers, but street sidewalks, curbs are essential to creating a modern environment," said Dr. Williams. Dr. Williams tells us coming out of this, he would like to see recognition of historic pavement, just like buildings. For more info on future architectural lectures, please click here.